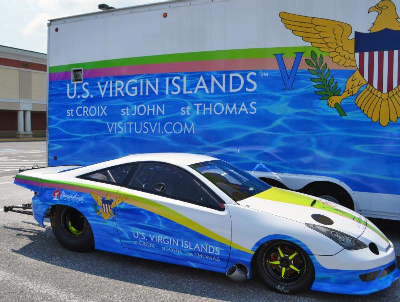 ANNAPOLIS, Maryland –In addition to the highways and byways of mainland America, the Virgin Islands Department of Tourism is taking its marketing message to race tracks up and down the East Coast. Gov. Kenneth Mapp and Commissioner of Tourism Beverly Nicholson-Doty were recently in Glenn Dale, Maryland, to formalize a partnership with Paradise Racing,irgin Islander Luis Corujo, and to witness the unveiling of the company’s race car and its trailer, both branded with the vibrant logo and colors of the Territory. The trailer will serve as a moving billboard for the U.S. Virgin Islands as Paradise Racing travels to more than 15 races at which Virgin Islands premium items will be shared with race car fans. “When the trailer is not in use for races, the Department of Tourism will use it for marketing and promotional events in key cities,” said Commissioner Nicholson-Doty, adding that “Spot the Trailer” sweepstakes are being developed for social media. Mapp said his administration is pursuing this initiative in an attempt to diversify the territory’s tourism product by selecting for sports tourism opportunities. The governor said that tourism has high hopes for the project currently before The Legislature to construct the first National Hot Rod Association (NHRA)-specified track on St. Croix. With a community of Caribbean residents who own dragsters and racing cars and who ship them around the region and to the U.S. mainland for racing, the potential economic benefit of welcoming these visitors is significant to the Territory. 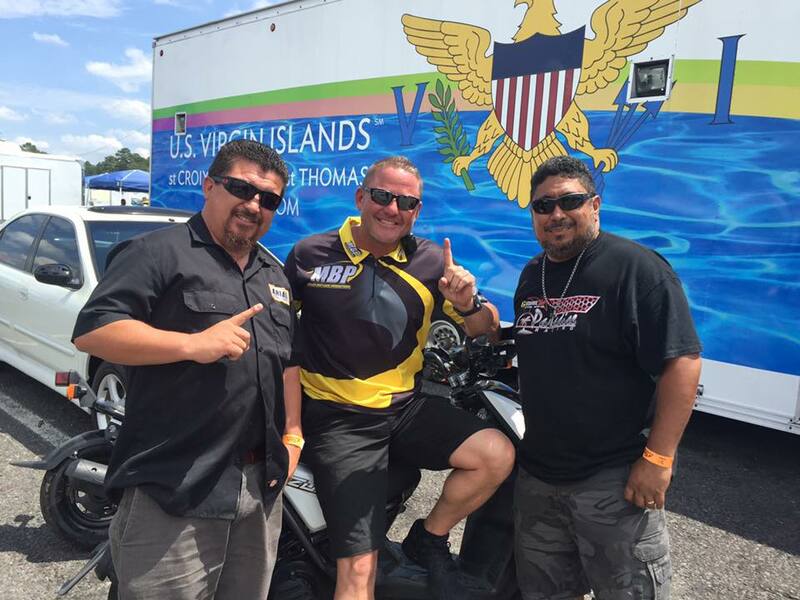 “We had someone down from NHRA and learned that there are a number of people that would be very interested, if we had the specification track, to bring them to the Virgin Islands,” the governor said. “You have the driver, the crew count, the owners, wives, children, fans. The issue is how do we get people to come to the island, and sleep in the hotel rooms, rent the cars, eat in the restaurants, and shop in the stores?” noted Mapp who predicted that the branded vehicles will draw much attention to the U.S. Virgin Islands.